Every man a king | Jon Katz, P.C. Image from U.S. Senate’s website. Assassinated Louisiana governor Huey Long successfully took office with the slogan "Every man a king." Ultimately, he became Louisiana’s dictator. Demagogues take many forms, including Huey Long, Tailgunner Joe McCarthy, and Jim Jones. 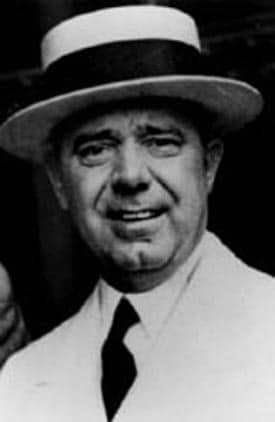 It seems that Huey Long was among the more colorful and likable of demagogues. Did Long’s assassination radically change the course of Constitutional law in the United States? Indiana University law professor Gerard Magliocca thinks so. His detailed law review article on the matter is here in PDF format (scroll to the bottom and click the Stenford Law School link), together with the article’s abstract. Thanks to Legal Theory Blog for posting on this article. Jon Katz.